What? Am I crazy? Care to Join Me? Sometimes artists do crazy things! Let me say that it is liberating to leave your comfort zone and just do something you wouldn’t ordinarily do. I heartily suggest you try it sometime. Leave your schedule behind, ditch the routine, run away to the beach, the mountains, even the other bedroom! Everyone needs a change. I was so excited about our guest speaker Denese Spence-Chen coming to speak at our women’s Bible study that I took it in my mind to do a painting for her as a little “thank you”. With only 3 days before she came, I decided to do something different, something I had never done or tried. Now, my husband always said (and usually he was correct) to never try a new recipe on the day you’re having company. I’ve always thought that was good advice. However…having met Denese before I had conjured up in my mind something bright, vivacious, full of energy and spirit! 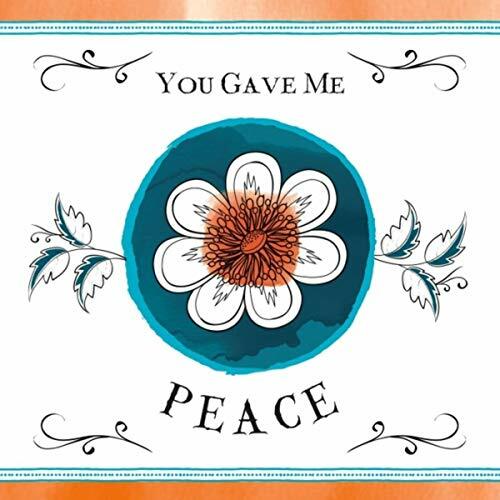 Something that felt like Denese to me, she is an immensely talented songwriter and speaker and I have really enjoyed and bought more than a few of her first CD, “You Gave Me Peace” as gifts. 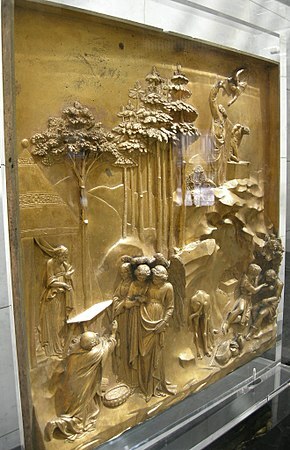 Side view of Lorenzo Ghiberti’s cast gilt-bronze”Gates of Paradise” at the Florence Baptistery in Florence, Italy, combining high-relief main figures with backgrounds mostly in low relief. Naturally, with just 3 days to create something I chose a very different approach. Here is my first stage. It is not carved into the board, but the image is raised applied on the board. As I mentioned, I wanted something that would portray Denese’s personality. So I just went wild. Wild for me means a bit uncontrolled. This was refreshing, as I had just finished a very large (30 x 40 inch) and detailed landscape in oil (which you’ll see in another post soon). 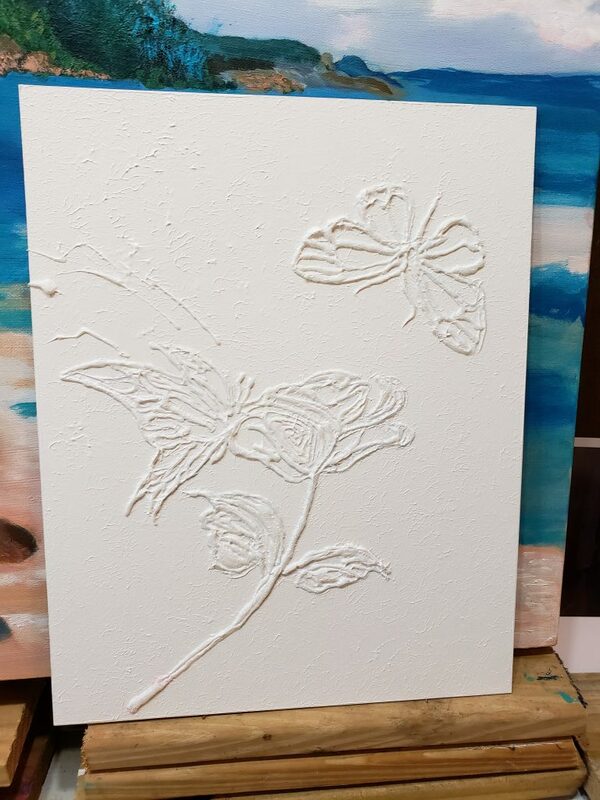 It was fun, and according to Denese, intuitively matched the colors in her home! © Laura Gabel, “Butterfly Beauties”. 11×14, mixed media. Private collection. I enjoyed the look of delight and surprise on Denese’s face as she opened her present. To hear and buy some of Denese’s songs and CDs be sure to go to her website to hear a sample of her new album, Greater. You will find it to be a wonderful blessing! So do yourself a favor, step out! I can guarantee that you will be blessed, amazed at what crazy courage can produce and most likely will end up blessing others!